While I was going through my iphone photos this week looking for project photos, I noticed how many photographs I take of small buildings. When I design a garden I take into account adding auxiliary structures and their relationship to the garden. These add an additional personality to the garden and don’t need to take themselves so seriously. Plus I love how these small structures are designed for very specific needs often engineered with left overs or local materials. Here is a grouping of small buildings I photographed, and I will do a future follow up when I go back and find more photos from my phone. I cannot remember where I took this photo in Lexington, KY but hopefully it will come to me soon and I will update. 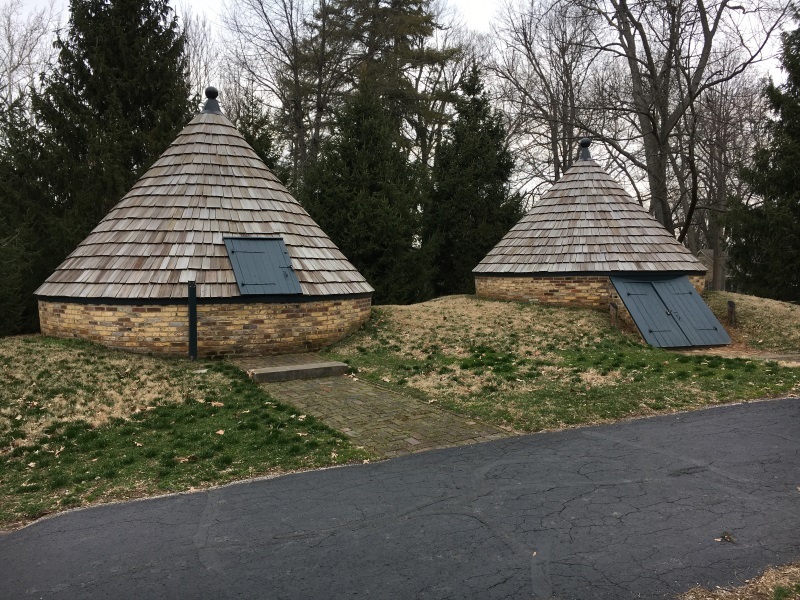 This pair of round buildings match the brick of other structures on the property (see below) but you can tell were designed for two very specific functions. I love they are not quite a matching pair. 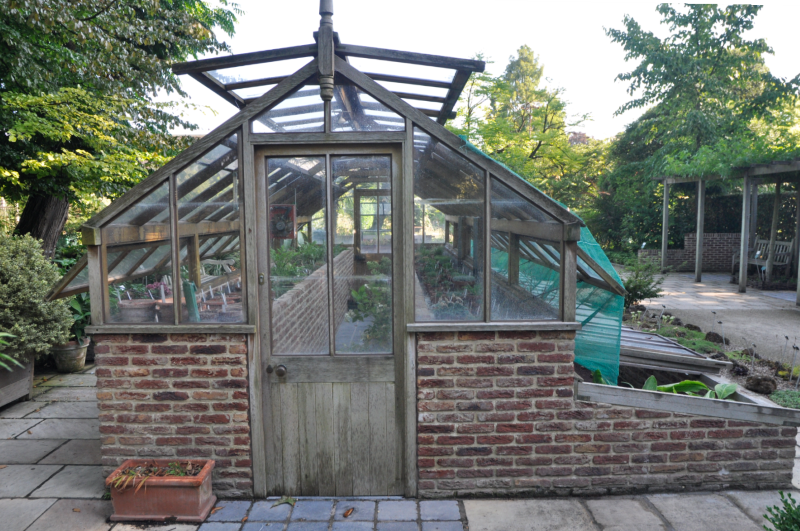 This was a greenhouse I saw while in in Brussels, Belgium . 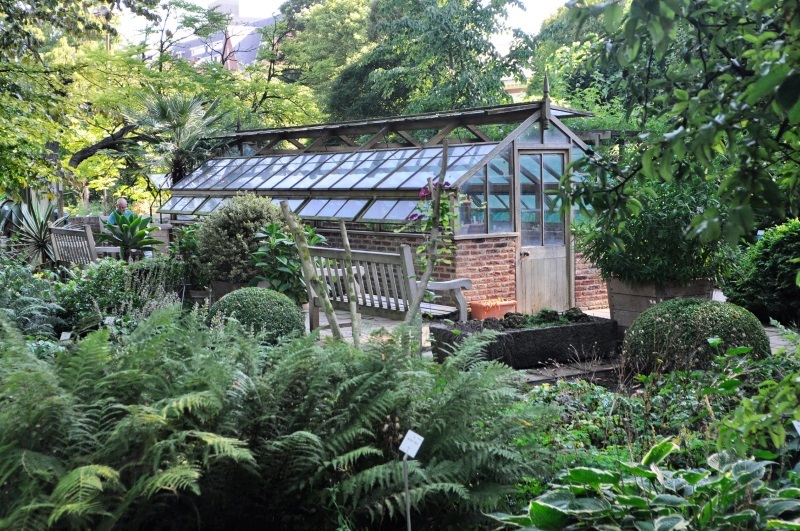 While greenhouses are not uncommon in gardens, I love how small and narrow this greenhouse is and the built in cold frame structures within the brick walls. This was (sadly it has been torn down) garage at the park across the street from our house. The family who built the garage were creative structural engineers and had an amazing home. 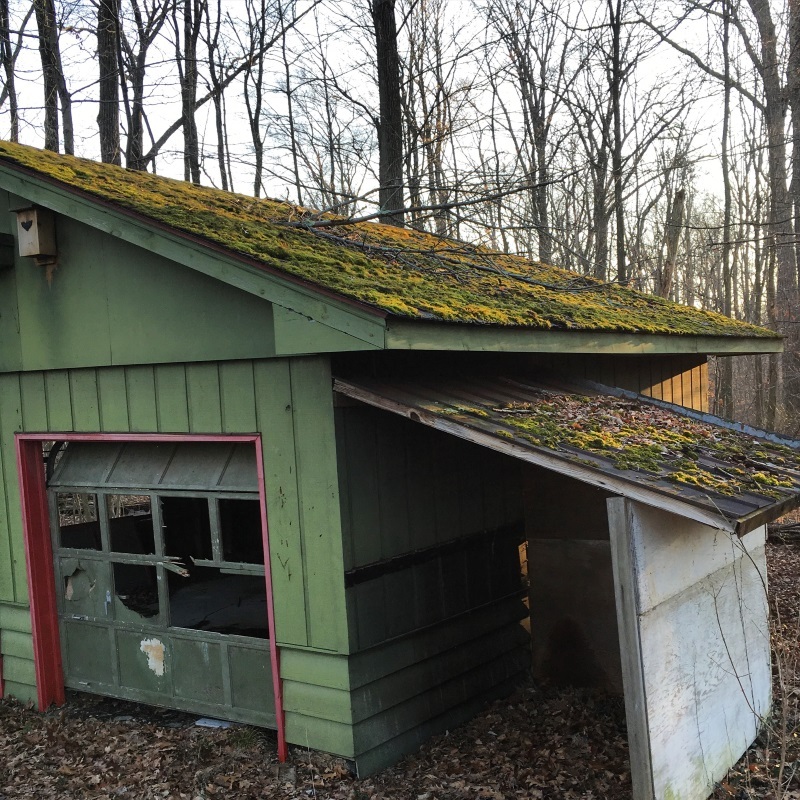 It was like the woods surrounding the garage claimed it as theirs covering the roof with moss. 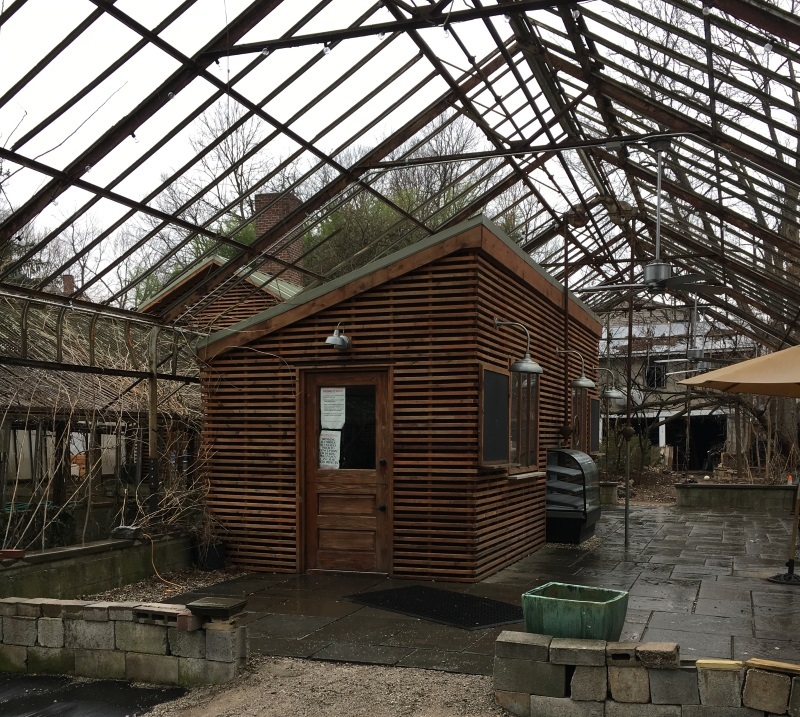 This is the cafe building at Michler’s Greenhouse in Lexington, KY. Built inside an old greenhouse I love how the roof of the slat cafe plays with the pitch of the open air greenhouse. 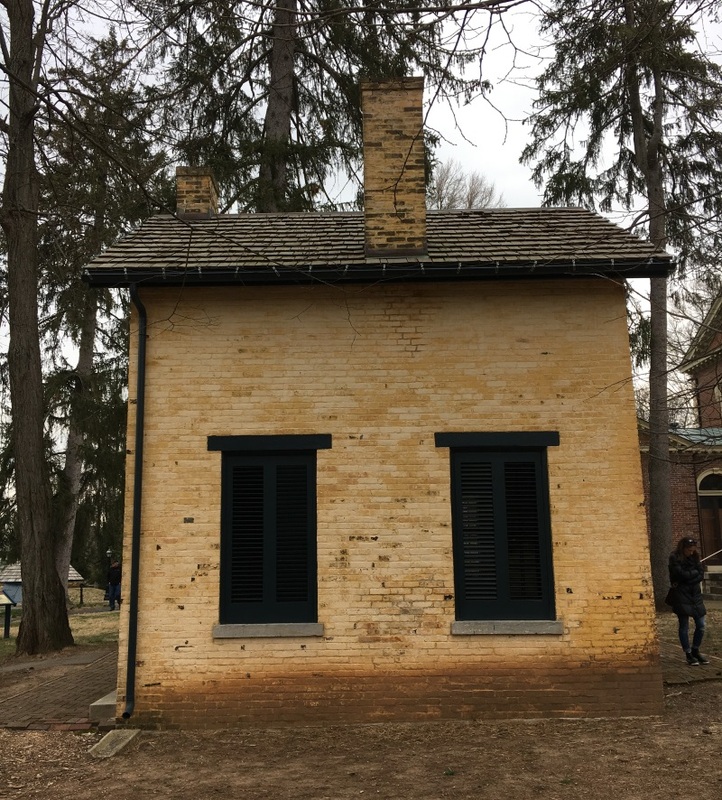 These above two buildings are recent additions to the Shaker Village at Pleasant Hill in Kentucky, which has so many beautiful elements to study. They keep with all the shaker elements within the village, yet you know are not original due to scale and subtle design elements. 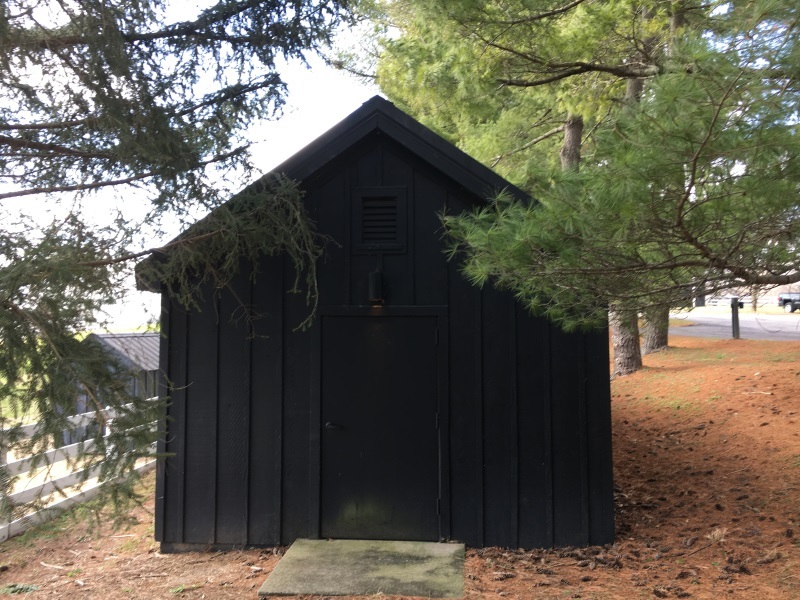 This is a shed I found on a walk around German Village, and I don’t know if I could find it again. 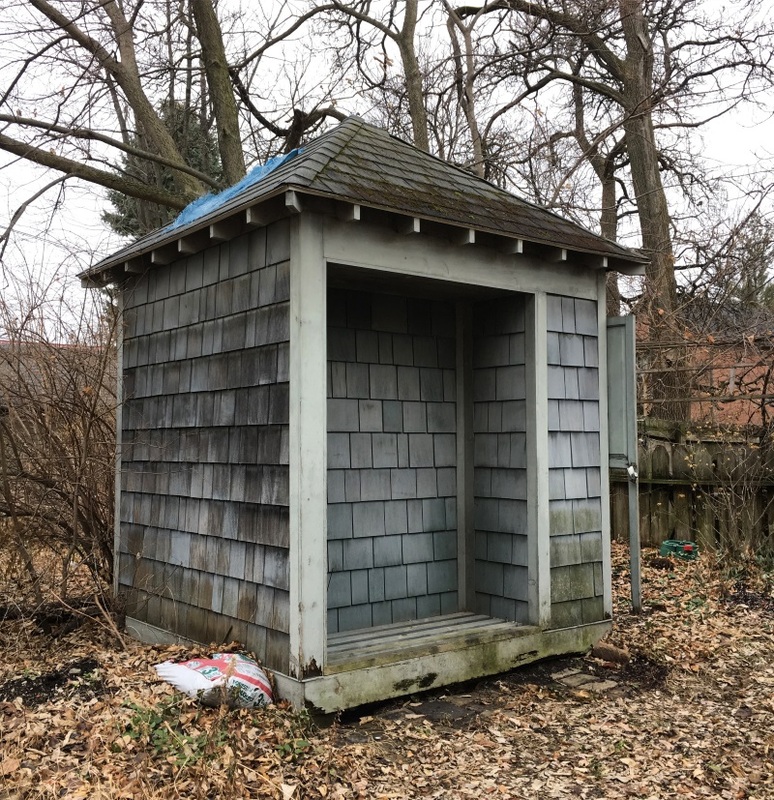 It was a perfect square with a hip roof, and then space behind the alcove, a sliding door on the far side that allows you to enter the shed. This one would be a great shed design kit since I think it would work for so many different homes and uses. This building was also in Lexington, KY and matches the round buildings seen above. I love how this building is so tall for how wide it was, and then the dark shutters make you know it was an utilitarian building on the property. 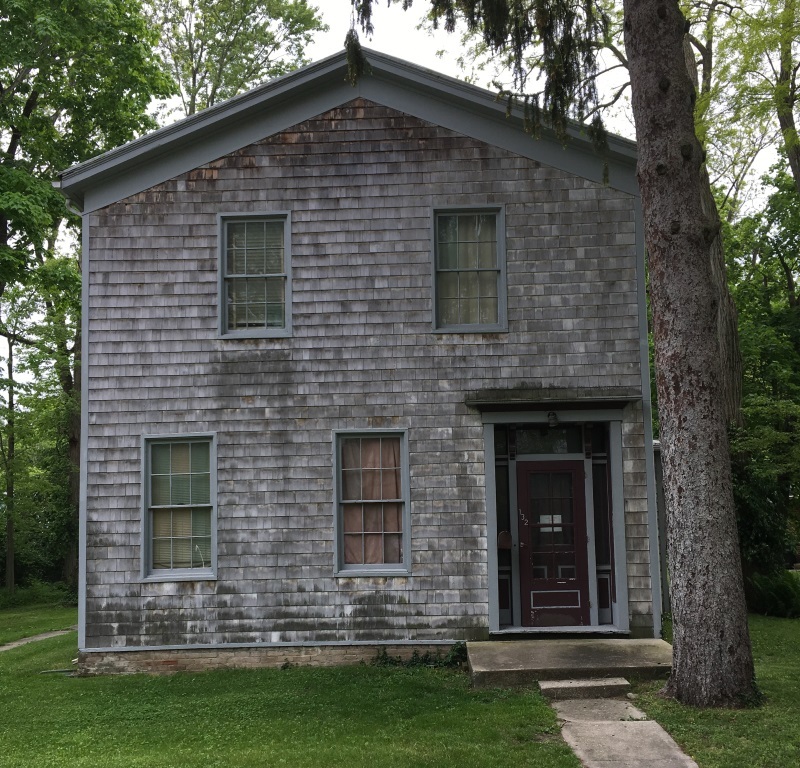 Ok this one is not a small auxiliary structure, but this house is not what you would typically find in Ohio and I appreciate the sole pine tree growing inches from the front door. I just returned from the APLD conference in Toronto, and I am in major back in the office mode. When I get a chance to download my photos from the trip, I will post a conference recap. 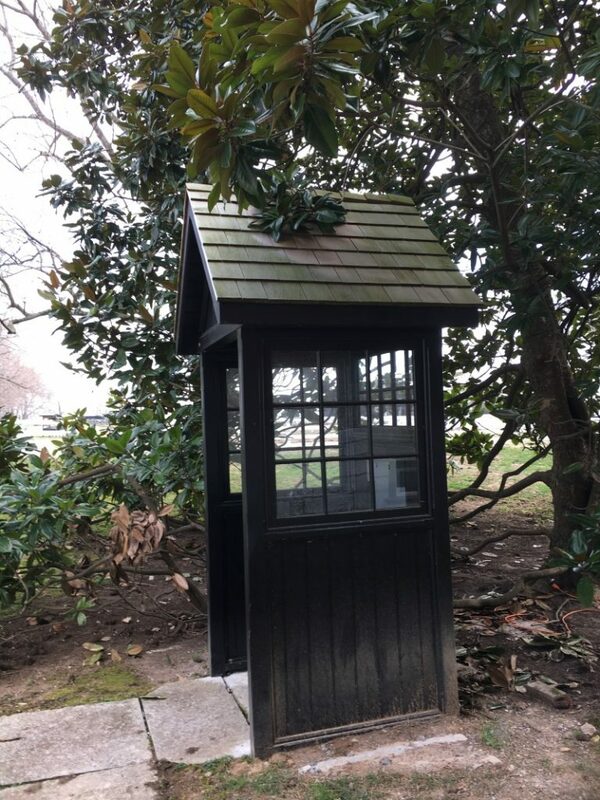 This entry was posted in Buldings, gardens sheds, Landscape, Small buildings and tagged Belgium, Brussels, buildings, garden design, garden inspiration, gardens, German Village, KY, landscape design, Lexington, Michler's Greenhouse, Ohio, outbuildings, Shaker Village at Pleasant Hill, Yellow Springs by Nick. Bookmark the permalink.